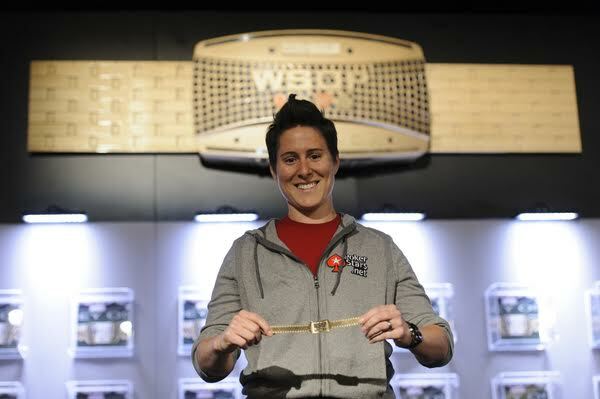 I always pictured Vanessa Selbst as a unique, courageous woman competing among the best poker players at the felt, but I recently discovered that she fights as hard outside the casino, especially for those without means and the underprivileged. 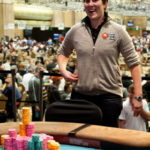 The Brooklyn native was working a full-time job in 2007 before she decided to become a poker professional. She quit, started playing full-time, and still worked three days a week for an organization and a cause close to her heart. Her part-time job also involved legal work and she soon realized she could not perform optimally without a Law degree. Selbst returned to Yale Law School where she earned her Law degree in 2012. I met Vanessa for the first time in 2013, in London. I interviewed her for a Czech poker magazine. She was in midst of a super-successful poker career and had worked her way up to the top of the world poker rankings. She became the first woman to reach the #1 GPI ranking in June 2014. But the statistics don’t mean so much to her anymore. Today, Selbst continues fulfilling her aspirations in terms of working for civil rights. She was the driving force behind the organization of a charity poker event called Blinds & Justice, and, in her own words, “is excited for the future”. Back in December, I caught up with Vanessa on a break during a first day of the €10K EPT 12 Prague High Roller event. We spoke about charity, blind justice, and, of course, poker. I´m great, thank you; and you? I´m fine. How are you doing poker-wise here in Prague? Are you enjoying Prague? You mentioned to me here in 2013 that it had been your first poker-related trip to Prague. Did you manage to see the city? To be honest with you, I like the city lot more now. When I first came here, I didn’t love it. This trip, I´ve spent more time going around, getting away from the Hilton. It really is just a beautiful city with a cool vibe. Has this (2015) been a successful year for you in poker? A bunch of things were preventing me from playing a lot of poker this year. I wasn’t able to play most of the high rollers, or the WSOP Main Event. Unfortunately, I played very little, and I haven’t been successful when I played. I won this celebrity shootout for a million. That was a nice year saver. Other than that, I didn’t have many results. This is first year when I was playing that I have been on a downswing. It´s new territory. May I ask what was preventing you from playing more poker? It was a combination of a few things. I was doing a bunch of stuff for my Law studies. I was studying for Bar exams at the beginning of the year and then I had some health issues. You organized an event called Blinds and Justice at the end of September 2015. What is the project about? How did it go? Charity poker is an awesome thing that has been happening in poker community. 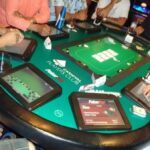 People are getting behind positive aspects of charity and using poker as the way to get people involved. 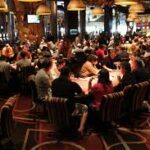 People love poker, and they are going to come out to the poker tournament, especially if there are celebrities and poker stars playing. It is a great way to raise money for something you believe in. This one was for the Urban Justice Center, which is an organization in New York that provides legal services to the neediest communities; the ones that are the most underrepresented in New York. I am on the Board of the organization and I feel very passionate about it and the people they serve. There are a lot of charity tournaments but they don’t tend to be geared towards social justice causes. They are mostly focused on health-related projects, diseases, children, and other, obviously, worthy causes, but I felt this is an area I wanted to make a charity tournament for: Adults who also need support because they don´t necessarily get it very often. And it went really, really well. Daniel Negreanu came, I was there, Erik Seidel too, and a bunch of other pros and celebrities. We had a great time. Daniel managed to make it to the final table together with a couple of celebrities. It had a great atmosphere and vibe; everybody had fun. We raised $160,000, which surpassed my goal. I didn’t expect to raise that much in the first year. I think it was a huge success all around. I spent September in New York working on the organization and doing everything I could to make people come and to spread the word. I put a lot of work into it and I´m really pleased how it turned out. I´m excited for the future years. I´ve got a lot of very positive feedback. I hope people will tell their friends and come back next year. This way, we can grow the tournament. Like I said, it is a great cause. Blinds & Justice – What does the title symbolize? This is a thing. It was supposed to be a play on words and I sort of messed it up. I´m actually changing the title next year. It´s going to be Justice is Blinds. It´s a funny story of how I got it wrong. There is a phrase “justice is blind”. It means everybody gets equal justice under the law. Justice doesn’t depend on what you look like or who you are. It is an idea that justice is supposed to be the same for everybody. Whether or not this actually happens is another story. It is a phrase. But I remembered the song – Arlo Guthrie´s Alice’s Restaurant Massacre. If you don’t know it, it is not really a song, it is a ballad – an 18-minute thing. I was into it when I was a kid, and there is a phrase in there, when Arlo says: “it was a typical case of American blind justice, and there wasn’t nothing he could do about it”. That combination blind justice stuck in my mind. I was thinking that was it. I made it Blinds & Justice and I don’t think most people got it. My friend told me: “You´re really missing out on an opportunity here; you should´ve called it Justice is Blinds. And I thought: “Oh, that´s the phrase!” I think more people will get it when we change it next year. That´s the idea behind it and, obviously, blinds for poker. You mentioned you are on Board of the Urban Justice Center in New York. You were involved in community centers before. Do you work there as a lawyer as well? I don’t right now. I still have a couple of hurdles to get pass to be admitted to practice law. I passed all the exams I had to this year, so that’s good, but I have to do a bit more work before I can practice law. I´m hoping I´ll be able to do so. The Urban Justice Center is a group of several separate organizations, so either with one of the organizations there, or – I have friends working for non-profit organizations. Hopefully, I will link up and I´ll be able to volunteer when I´m home from poker. Last time I spoke to you, you mentioned you wanted to create a website to fight injustice done by police officers. How did it go? I was trying to take on a really massive undertaking and I didn’t understand how big of a project this was. I wasn’t the right person because I didn’t have the time to commit. Basically, I was trying to have another full-time career. That’s not something I could do. I know people who are working on this, though. Police brutality has been in the news a lot. It´s an issue that I´ve cared about strongly for a long time, and I think there wasn’t enough attention given to it. It is still a persistent problem but now it is more in the spotlight, and people are more aware. This is a good thing. There are a lot of changes that are hopefully going to be happening in the States regarding police accountability; maybe body cameras. Obviously, it is ridiculously unfortunate that we had to have so many terrible things happen to get us to this point, but I am very optimistic for the changes that are happening. 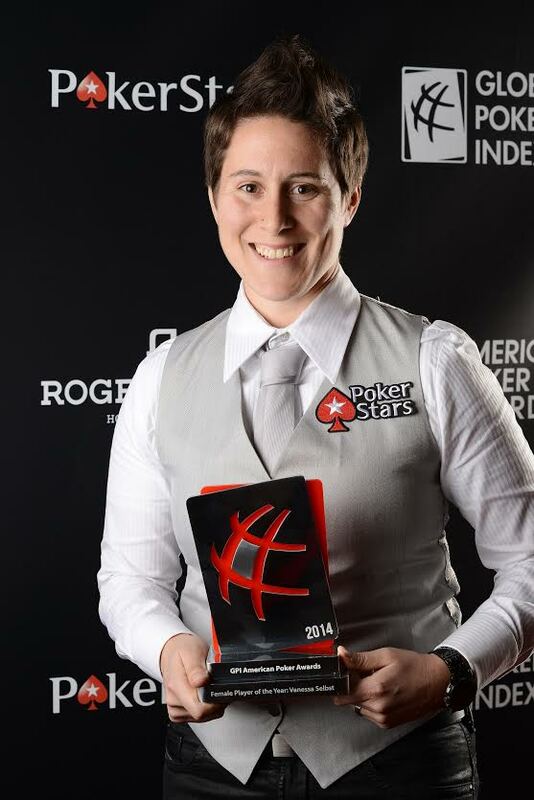 I watched your acceptance speech at the inaugural American Poker Awards, where you received an award for being the 2014 Female Player of the Year. You kind of made fun of the discussion held around women´s events. My question is: Do you care about rankings and do you think men and women should be ranked separately? I don’t think that there needs to be separate rankings. I get these questions a lot on the importance of ladies tournaments. For better or worse, that´s what they´re called. I do think they bring a lot of women into the game. That´s a really positive thing. In general, the point is to promote women in poker, but there is no reason why women should be ranked any differently. There is nothing inherently different about us playing the game. It was a bit weird to receive that. Yes, it is nice to be recognized, for sure, but I would like to just be a successful player. Honestly, the rankings are not that important, especially now. For me poker is about having fun and making money. It´s not necessarily about “being number 1”. If it were, I would play a lot more poker. To be at the top, you really have to be playing all the time. There was a time in my life when I was doing that. It is not now. I am older and I cannot be travelling all the time. I have a home and a family and I appreciate the time that I have at home. I don’t know if I’ll ever be at the top of the rankings again, but that´s fine. Alexandre Dreyfus recently tweeted he plans one of the panels of GPI American Poker Conference to address “poker and women”. It was followed by reactions such as: “there should be women on the panel” because it is not unusual for there to be panels discussing women´s issues with no women on them. What are your thoughts on this? Would you join the panel? I have a very pessimistic attitude, unfortunately. The poker community is very inhospitable to women, just as the world is very inhospitable to women. It´s no different in poker. It is the same problem that you see in every other sphere. It´s been that way for decades and I don’t know what are we going to accomplish by talking about it. The conversation is being held. People are talking on Twitter and other places about why – maybe – it is inhospitable and what can we do to change that. For people who want to think about it, it is great that the conversation is happening, but in terms of beating it to death? It´s got diminishing returns. The first conversation is truly important to have. The second conversation is great. The third and the fourth – now it is on everybody´s minds. I don’t know what good the ninth and tenth conversation is going to do. We have already reached all the people who believe it is something we should focus on. The rest are just going to keep on keeping on the way they have been. You set up a Twitch channel. You had your first streaming at the beginning of December. How did it go and what you want to bring to Twitch viewers? I´m genuinely happy about my Twitch channel. Yes, I launched it a few weeks ago. 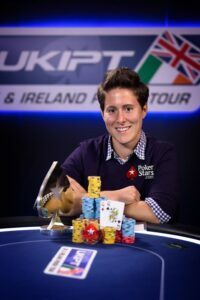 It is Twitch.tv/VanessaSelbst – very easy. I hope to get it more regular soon. I´m not playing too much online poker. I wanted to do something different. I like to do commentary – both, strategic and otherwise. So, I´m taking the EPT episodes or the Shark Cage; whatever PokerStars broadcasts are. I get them without the commentary, I watch them with my followers, and we talk about them. It´s cool to interact with people in the chat. They´re asking me questions. We talk strategy. It went well and I’m excited to do more. Our conversation lasted just about 15 minutes, but I really enjoyed talking to Vanessa. Immediately after our interview, she rushed back to her table in the €10K NLH High Roller event. Ultimately, she finished in eighth place, cashing for €74,550. Hopefully, Vanessa left Prague with more good memories and we’ll see her back there again next year. In the meantime, you can follow her on Twitter @VanessaSelbst as well as join her on Twitch whenever she decides to do some more live streaming. Liba Foord is a freelance writer and journalist from the Czech Republic. Liba started working in the poker industry in 2011 and has participated in numerous projects providing live coverage, translations, and consultancy services.